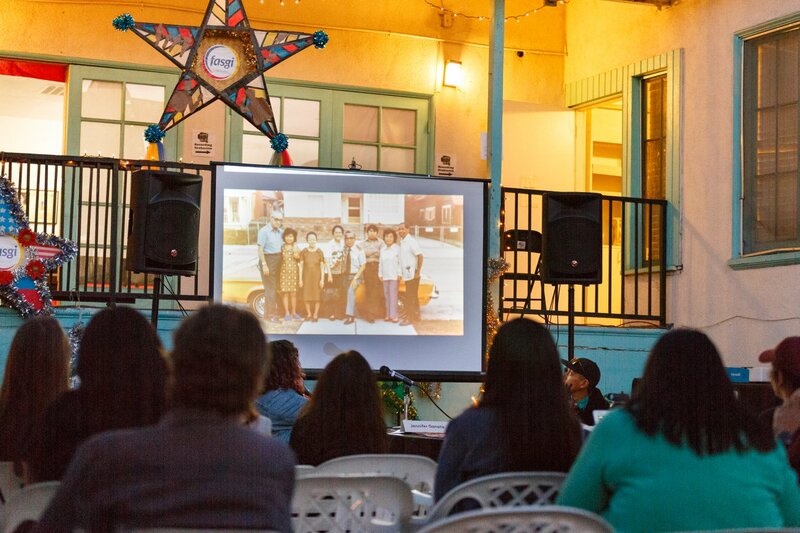 Continuing our “Love & Loss in Hi Fi” programming, we hosted our second event, “How Did You Find Home?” at The Filipino American Service Group Inc (FASGI) on May 9, 2018. The conversation focused on sharing knowledge about housing and real estate, and talking about the concept of home. The event featured two presenters, housing attorney Jennifer Ganata and Río (jill contreras), Realtor®, who spoke about tenants’ rights and real estate resilience for low-income, people of color. “How Did You Find Home?” included information booths from local neighborhood organizations and pop-up activities from an amazing crew of Multicultural Arts Leadership Institute volunteers. MALI is a leadership development program for people of color deeply engaged in the Silicon Valley’s arts, culture, and entertainment sectors. A special thanks to FASGI for hosting this important conversation and to MALI for their support in helping us prep for this special event and engage with residents. Curious to know what was discussed at the panel? The whole panel discussion is on our Facebook page. >> Check out the Facebook album for a look into the event. Join our family of supporters.